"They're not bad guys, just bad thieves." 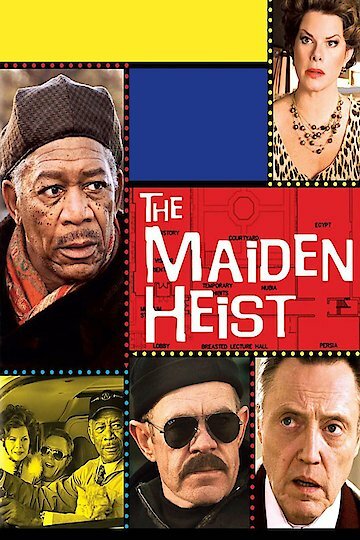 A comedy caper, "The Maiden Heist" centers on three museum security guards who decide to steal favorite art pieces when they discover the art is to be shipped to Copenhagen. They concoct a plan that will allow them to "save" the long-admired works from exile and enjoy the artwork in their retirement. Along the way they discover friendship and fun. The Maiden Heist is currently available to watch free on Tubi TV and stream, download on demand at Amazon Prime online.